The EPFL+ECAL Lab is part of the École polytechnique fédérale de Lausanne (EPFL) and aims to open, with design, new perspectives for emerging technologies from research labs. L’EPFL+ECAL Lab offers several training including a Certificate of Advanced Study in Augmented Reality. iMinds is the Belgian region of Flanders’ digital research & entrepreneurship hub. They drive digital innovation for society and economy, through strategic and applied research on key digital technologies. 900+ academic researchers at 5 Flemish universities join forces with industry and SMEs in cooperative research projects to turn digital know-how into future-proof products and services. iMinds also encourages tech entrepreneurs to bring their smart innovations to life and helps them start and grow their digital businesses in local and global markets. A large part of media-related research activities are lead by Brussels-based iMinds-SMIT, a research centre of the Vrije Universiteit Brussel. KTH Royal Institute of Technology is Sweden’s largest technical research institution and is located in Stockholm. The department of Media Technology and Interaction Design is a large research group consisting of the two areas: Human-Computer Interaction and Media Technology and Graphic Design. Our fields are interdisciplinary. One of our current projects is “Technology, Services and Storytelling in Future Media Consumption”, which is a research study with focus on the new digital development within the media industry and its consequences for storytelling in journalism. With industrial research partners Bonnier News, Schibsted and Sveriges Radio, we are exploring which new technologies that work best with regards to storytelling, and what drivers and barriers there are within the partner companies when it comes to implementing new technologies and innovation. The Norwegian University of Science and Technology (NTNU) is a merger of the previous Gjøvik University College, Ålesund University College, Trondheim University College, Norwegian Institute of Technology, and the University of Trondheim. It is Norway’s largest university. Today the full range university NTNU encompasses 8 faculties and 73 departments in the areas of technology, science, arts and humanities, social sciences and medicine. NTNU has approximately 44000 students. NTNU has a staff of 7000 persons, over half in academic or scientific positions. In 2015, more than 300 PhD-degrees were awarded. NTNU is participating in GAMI through the research and innovation at the Sense-IT lab headed by Prof. A. Perkis. The main focus towards media are innovations in sensor based digital storytelling including VR/AR and 360 audiovisuals. PUCRS has more than 145 thousand alumni, prepared for placement in different professional areas. It is a comprehensive university, offering 51 undergraduate programs, more than 1 00 options for certificate courses, 24 Master’s and 21 Doctorate programs. Ubilab was created in the Graduate Program of Communications of the Pontifical Catholic University of Rio Grande do Sul (PUCRS) to work in a multidisciplinary dialogue to research new perspectives of the Information Society. Our main question is: how mobile internet, sensors and new hardwares impact on the way we get informed and socialize? We conduct our researches with several connections, among public scientific support agencies and private companies located at PUCRS Science and Technology Park Tecnopuc. The Science and Technology Park at PUCRS (TECNOPUC) fosters research and innovation by means of simultaneous interaction between academia, private institutions and government. Businesses of different sizes, entities and research centers from the Institution itself are located in an area of 5.4 hectares, on the University Campus, in Porto Alegre, capital of Rio Grande do Sul. Currently, TECNOPUC houses 101 organizations, 81 of them companies, 8 entities and 12 PUCRS research structures which, together, add up to more than 5.6 thousand job positions. The Media Innovation Studio is an international research centre and learning lab based in the College of Culture and the Creative Industries at the University of Central Lancashire (UCLan) in the UK. The Studio hosts academics and practitioners from the arts and sciences working across traditional disciplinary ‘silos’ creating new knowledge, developing new products and testing ideas in the real world. Adresseavisen, which was started in 1767, is proud to be Norway’s oldest newspaper. But it is also passionate about its future as a digital powerhouse, fuelling the Polaris Media Group (www.polarismedia.no) and 35 other media houses across Norway with digital competence and capacity. Adresseavisen is Norways 5th biggest daily newspaper by circulation and readership. Adresseavisen is based in Trondheim, Norway which is also where the Norwegian University of Science and Technology (NTNU) is located, hence the close relations and cooperation it has with the advanced media technology institutes at NTNU. NTNU, the Norwegian Media Businesses’ Association and Adresseavisen are key partners in NxtMedia, the innovation network driving national and Nordic innovation projects in data journalism, recommendation and personalization technology as well as immersive and interactive tech for new narratives and VR. Adresseavisen is proud to be part of the Global Alliance for Media Innovation as the most important vehicle for connecting global media and as a catalyst for sharing successful innovation projects. AFP is a global news agency delivering fast, in-depth coverage of the events shaping our world from wars and conflicts to politics, sports, entertainment and the latest breakthroughs in health, science and technology. Born in 1944, on the remainings of the Havas news agency founded in 1835, AFP has a network of 200 bureaux around the World, with 1575 journalists (out of 2326 employees) producing each day some 5000 dispatches, 3000 pictures, 250 videos and 80 graphics and videographics. AFP Medialab is a small team of journalists and engineers building innovative user experiences to valorize AFP’s content, new tools for the newsroom, news products concepts like interactive video or automated geolocalized news displays. AFP Medialab is currently involved in two research projects, one National Research Agency funded project ASRAEL (on data and knowledge extraction on events in newswires) and one European Horizon 2020 funded project, InVID, dealing with video verification on social networks for the news industry. AFP Medialab joined GAMI to collaborate and network with the most innovative academics teams, media industry companies, SMEs and startups. APA-IT Informations Technologie GmbH is Austria’s leading service provider for media, but also offers customised solutions for companies from business and politics. 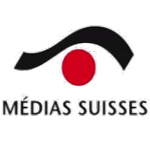 As a subsidiary of APA – Austria Press Agency, we provide high-quality IT services pertaining to the production, analysis, processing and marketing of digital content. For example Gentics Mesh, an API-First CMS, with which you can implement web applications and apps with your preferred web technologies and development tools as well as the semantic annotation service SmartTag which detects and classifies elements contained in a text. Due to decades of expertise developed in German-speaking Europe, we not only have a specific understanding of the industry and experience, but also a superior ability to recognise technological innovations early on and to create products and services that support companies in the implementation of their digital strategy. Therefore we are really proud to be part at GAMI and to contribute to projects which will support media facing the challenges of the digital age. CCI is supplier of the most robust and powerful editorial and advertising systems in the industry. CCI solutions are implemented in news organizations across five continents. CCI provides the platform to support the world’s largest news organizations, and scalable solutions to help growing media brands optimize their business strategies. The Stibo Accelerator – operated by CCI’s owner, the Stibo Foundation – invites talented students and startups to work on research projects uncovering the news industry potential in cutting edge trends and technologies. GAMI represents the most important need in the news industry today: the need to explore and embrace every corner of the disruptive digital transformation the news industry is going through. Both CCI and the Stibo Accelerator supports this initiative actively and we are eager to collaborate with any organisation sharing this passion. Internal incubation aims to tap into the company’s employees to unlock new value for existing and potential audiences. External acceleration will invigorate company culture and enable ventures that push towards new frontiers. The NEM Initiative (New European Media Initiative) was established as one of the European Technology Platform under the Seventh Framework Programme, aiming at fostering the convergence between consumer electronics, broadcasting and telecoms in order to develop the emerging business sector of networked and electronic media. In order to respond to new need and requirements of the Horizon 2020 programme, the NEM initiative enlarged its focus towards creative industries and changed its name from Networked an Electronic Media Initiative to New European Media, dealing with Connected, Converging and Interactive Media & Creative Industries, driving the future of digital experience. The NEM constituency includes all major European organisations working in the networked and electronic media area, including content providers, creative industries, broadcasters, network equipment manufacturers, network operators and service providers, academia, standardisation bodies and government institutions. Those actors share a common Vision and have been producing a Strategic Research and Innovation Agenda (SRIA) as well as position papers, in order to accelerate the innovative development of the new sector in a harmonised and fruitful way and to place European industry at the forefront of the information era. Nxt Media is an innovation cluster for the media industry in Norway and the Nordics including newspapers, the broadcast and web industries, universities and media software creators aiming to promote innovation and future media technology. Leading partners include Norwegian University of Science and Technology NTNU, Norwegian Media Businesses’ Association (MBL), Adresseavisen and Polaris Media Group, NRK (Norway’s public broadcaster), Trønder-Avisa, regional university colleges and associate New Media Network among others. In the Nordics NxtMedia is linked to Jysk-Fynske Medier (DK) Stibo Accellerator (DK), Lindholmen Science Park (SE) and VTT (FI). NxtMedia is supporting and executing projects in data mining, data harvesting and processing, digital modernization of journalism, new narratives an immersive technologies, bridging relations between media industry and academics, entrepreneurs and supporters of press freedom and media innovation. The network cooperates with Wan-Ifra and the GAMI initiative to enable media to progress globally.